"These are our children, and we gotta set them free." Annapurna Pictures has debuted the new full-length official trailer for If Beale Street Could Talk, the latest exquisite film made by very talented filmmaker Barry Jenkins (of Moonlight and Medicine for Melancholy). Based on James Baldwin's 1974 novel of the same name, If Beale Street Could Talk is about a woman in Harlem desperately trying to prove her fiancé innocent of a crime while she is carrying their first child. Kiki Layne stars as Tish, along with Stephan James as her fiancé "Fonny", and the exceptional full ensemble cast includes Teyonah Parris, Regina King, Colman Domingo, Brian Tyree Henry, Dave Franco, Ed Skrein, Michael Beach, Finn Wittrock, Aunjanue Ellis, Diego Luna, Pedro Pascal, and Emily Rios. I saw this film at TIFF and it's pure bliss - I wrote: "it's a gorgeous film, visually and emotionally, and I didn't want it to end." A must see. You can still see the first teaser trailer for Jenkins' If Beale Street Could Talk here, or read our review here. Director Barry Jenkins' ambitious follow-up to Moonlight adapts James Baldwin's poignant novel about a woman fighting to free her falsely accused husband from prison before the birth of their child. If Beale Street Could Talk is directed by American filmmaker Barry Jenkins, director of the Oscar-winning film Moonlight previously, as well as Medicine for Melancholy. The screenplay is also written by Barry Jenkins, based on James Baldwin's novel of the same name, published in 1974. This just premiered at the Toronto Film Festival earlier this month - read our full review here. 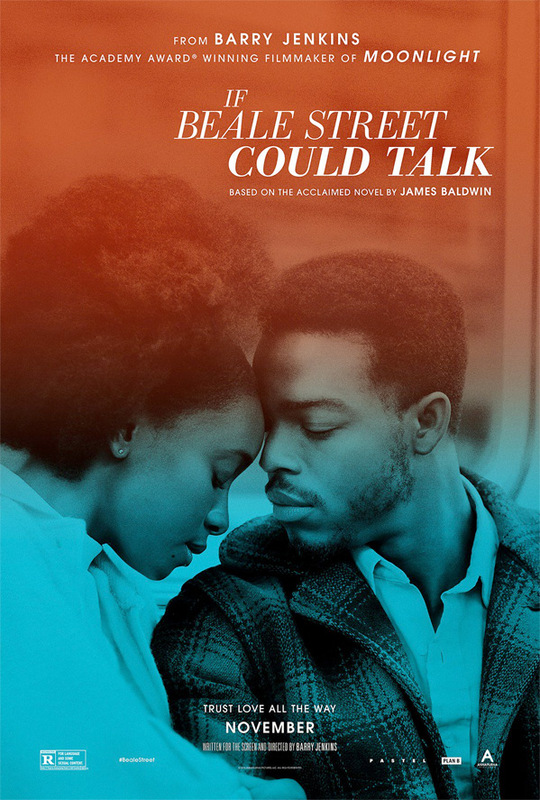 Annapurna will release Jenkins' If Beale Street Could Talk in select theaters starting on November 30th this fall. Looking good? Who's going to see this?